In a sign that we’ve learned absolutely nothing from the 2008 financial crisis, some people have started borrowing tens of thousands of dollars from their 401(k) retirement accounts to fund lavish vacations and other luxury purchases. Let’s first acknowledge what a terrible idea that is. The entire point of a retirement account is to ride out swings in the market and to save for when you retire — not to splurge on a Viking cruise through the Mediterranean. (This is why the government imposes a 10 percent tax penalty when people borrow money from their 401(k)s early.) Economic experts have warned of a looming market correction for months now, and reports about people engaging in this kind of frivolous spending suggests things could get painful when the market inevitably dips. But what’s amazing is the sudden interest in 401(k)s at all. For one, 401(k)s are crushingly dull. They derive their name from a single line in the massive, byzantine tax code, and are boring by design. They value slow, steady growth over the span of decades, and lack any of the “get rich quick” panache of other flashier investment options. And yet, somehow, 401(k)s have become debate fodder in our bitterly divided country, with Trump supporters pointing to their 401(k) balances as evidence of the president’s competent, steadfast leadership. The U.S. stock market has been on a bull run for nearly a decade now, and people’s 401(k) balances are at record highs, which is an indisputably great development, especially after many nearly lost all their retirement savings amid the economic downturn of 2008 and 2009. People recognize that the policies @realDonaldTrump has put forward are making their lives better. Wages are up. 401k plans are up. Bonuses are being awarded. Attributing the 401(k) gains solely to Trump is a rich irony considering that the majority of the stock gains people are now enjoying occurred under former President Obama — although you’ll never hear that admission from the conservative news machine. The irony is even richer considering the Trump White House briefly toyed with the idea of reducing the amount of money Americans could contribute to their 401(k)s each year. Or that most Americans don’t even avail themselves of the tax-saving properties of a 401(k) in the first place. A 2017 study of U.S. taxpayer data by the Census Bureau found that only a third of Americans use a 401(k) (or some other kind of tax-deferred retirement account). Couple that with the fact that nearly half of all U.S. households have nothing saved for retirement at all, and it seems that people are overstating the impact of 401(k) gains, and Trump’s role in that development. We do have to give Trump credit in some areas, however — his loosening of regulations and massive corporate tax cut has resulted in American companies increasing their investments in the U.S. and giving their employees bonuses and raises. There’s been a similar increase in consumer confidence, though that, too, has been on the rise since the Obama years. 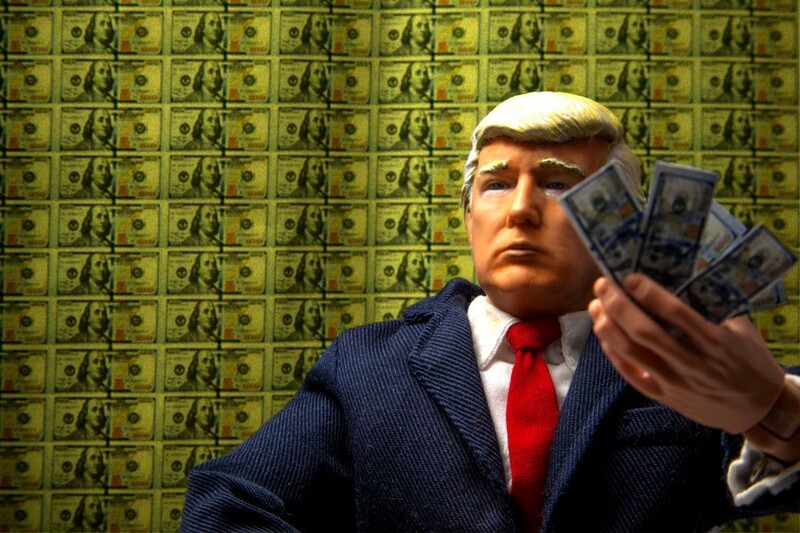 Regardless of how much credit he deserves for the state of 401(k)s, Trump and his Republican allies will be sure to ascribe all of it to him, especially when he runs for re-election in 2020. In that sense, Trump has truly outperformed expectations: He’s even found a way to make economic gains divisive.